After ten starting days and a long Day 2, only 12 hopefuls out of a 4,115-entry strong field were left at the end of level 31 in the 2017 World Series of Poker Europe Event #5: THE COLOSSUS €550 No-Limit Hold'em the previous last night. They returned to Europe's biggest poker arena in the King's Casino in Rozvadov to determine the seventh winner of a coveted golden bracelet on Czech soil and it was Matous Skorepa who defeated Florian Fuchs in heads-up to take home the first-place payout of €270,015 and third Czech bracelet of the series with his maiden WSOP cash. Fellow countrymen Michal Schuh and Lukas Zaskodny, who defeated Allen “Chainsaw” Kessler in heads-up in Event #6: €2,200 Pot-Limit Omaha a few days ago to join the champion's club, were the first to congratulate Skorepa. "I'd like to say it was easy but it wasn't. I needed to be lucky. I've been preparing for this tournament for almost a year,” Skorepa added with a big smile on the face. "I'm pretty excited but I just called by mom and she calmed me down. I'm excited of course and pretty happy." Up next besides work is a vacation for the Czech: “The summer was really busy so I couldn't go for a vacation so I need to disappear and just relax." 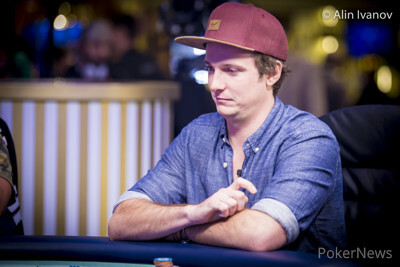 Throughout the final table, Skorepa always seemed very relaxed and didn't let any setbacks get to him. The pivotal hand on his way to victory saw him all in and at risk with queen-nine against the pocket aces of eventual 4th place finisher Ivaylo Sivinov, and Skorepa rivered a straight before knocking out Sivinov soon after. Just before the hand got underway, he had jokingly predicted a double up in this very hand. "Something strange with me, if I play small cash games or small tournaments its the same for me as if I was playing a big tournament. It was like, ok a ten, yeah perfect, lets go. Everyone on the final table was shaking but not me. If you believe it, then it will happen." 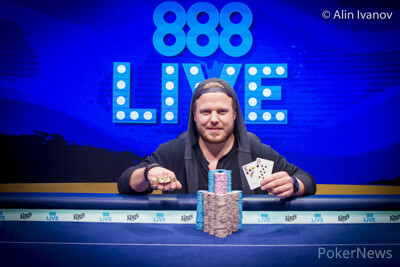 The best cash to date for Skorepa was for €8,000, while runner-up Fuchs also bested his previous highest score of $12,420 by taking home €166,855 for his efforts. Among the other finalists was Makarios Avramidis, who won the first-ever bracelet for his home country at the 2015 WSOPE in Berlin, and the Greek had to settle for 5th place and €68,771 this time around. With two six-handed tables back in action and plenty of short stacks around, it took quite some time until the first seat open. Eventually it was Philipp Lutkemeier that ended up second-best with pocket sixes against the pocket eights of Ivaylo Sivinov, and the German was drawing dead after the turn already. Ruben Garcia Blancas check-raised all in with king-ten suited for second pair on a jack-high flop and again it was Sivinov that dealt the final blow. The Bulgarian called with queen-four suited for the flush draw and got there on the river. 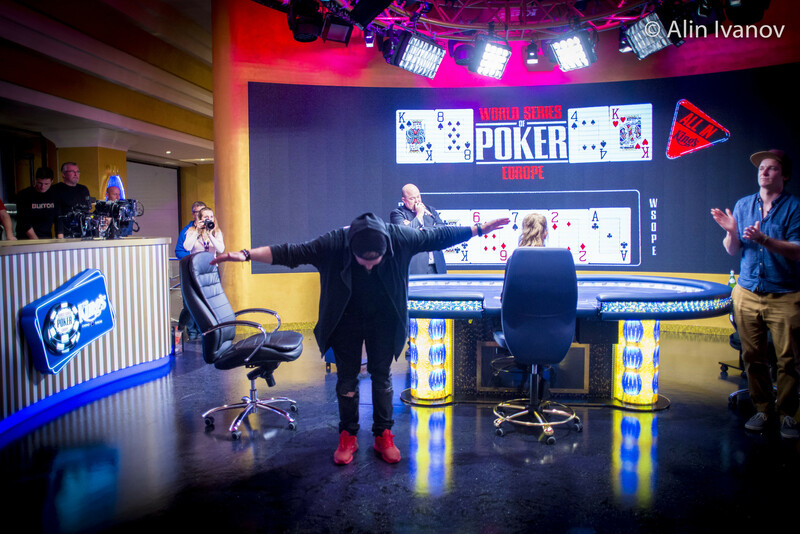 [Removed:35] was all in and at risk with ace-king and Matous Skorepa and the Czech flopped top pair with queen-jack suited to set up the official nine-handed final table. Skorepa and start-of-the-day chip leader Jonathan Khalifa were at the top of the counts with near identical stacks. Gaetan Cauchy became the first casualty of the final table in the fifth hand, three-bet shoving ace-eight out of the big blind. Matous Skorepa called with pocket nines and held a full house on a queen-high board to eliminate Cauchy. It was the third WSOP cash for the Frenchman, who had to settle for a payday of €23,499. Nebojsa Ankucic reached the final table with just four big blinds and managed once before getting involved into a three-way all in showdown. Pascal Pflock was at risk with pocket threes, Ankucic held king-jack suited and Jonathan Khalifa looked up both with king-queen suited. While Ankucic flopped best with second pair and a flush draw, Khalifa got there with a broadway straight on the turn and a blank on the river reduced the field to the last six hopefuls. 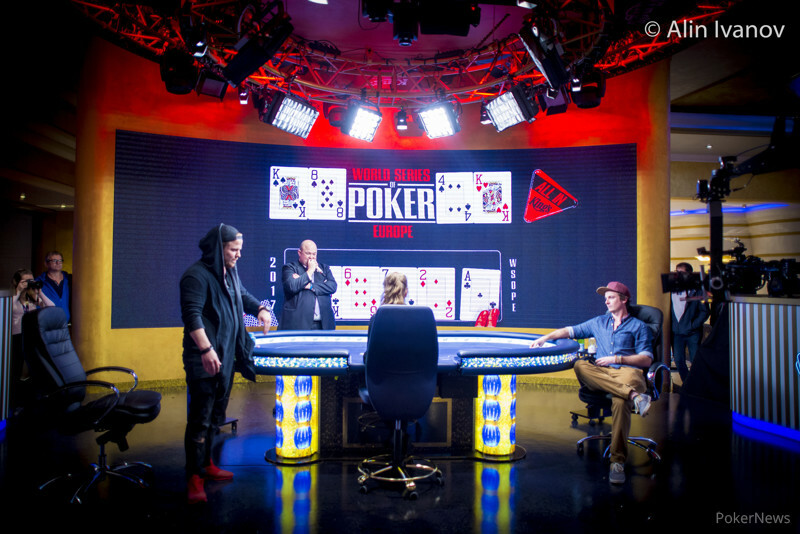 Two Czech players reached the final table and they would clash when Roman Motovsky got it in with king-jack suited. Matous Skorepa called with ace-queen off suit and a king-queen high flop was followed by an ace on the turn, the river blanked and Motovsky ended up in 6th place. 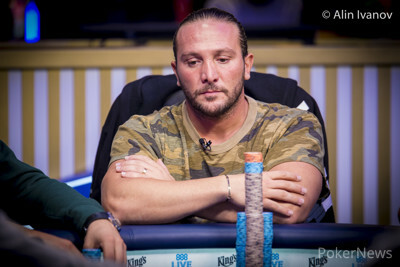 Makarios Avramidis, who was the only finalist with a WSOP bracelet already, eventually bowed out in 5th place after running with ace-six into the pocket aces of Jonathan Khalifa. It was yet another deep run for the Greek, who fell just shy of becoming the first Greek to win two WSOP bracelets. The roller coaster ride of Ivaylo Sivinov came to an end in 4th place. After topping the leader board, the Bulgarian lost a big pot with queen-ten versus pocket aces on a ten-high flop, then had his aces cracked by the queen-nine of Matous Skorepa and lost the remainder of his stack with ace-eight against the pocket tens of Skorepa. In hand #69 of the final table, Jonathan Khalifa took a big flip with pocket nines against the ace-ten of Matous Skorepa and the latter rivered a ten to leave his opponent in shambles. 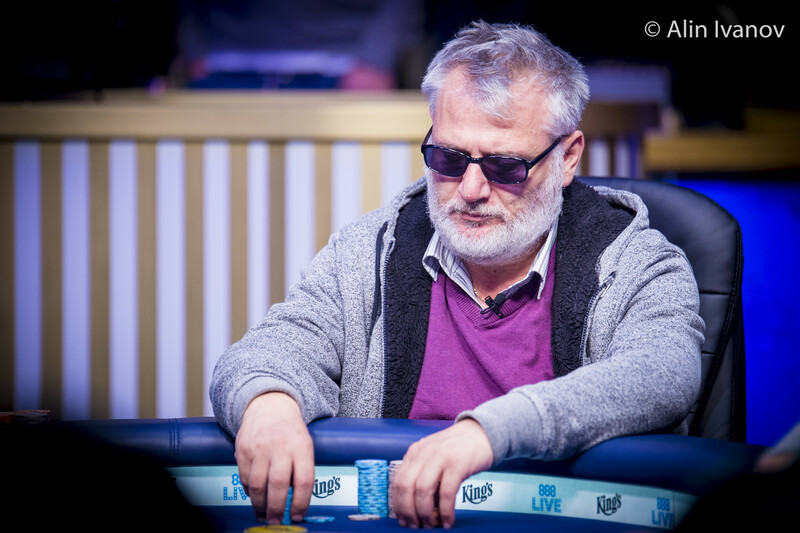 Skorepa entered heads-up against Florian Fuchs with a commanding lead and steam-rolled over the Austrian in the first few hands to reduce Fuchs to fewer than ten big blinds. A shove by Skorepa with king-eight suited was called by Fuchs with king-four off suit and the Austrian found no help to crown a champion in Skorepa. Among the big names to cash on Day 2 when all survivors of the ten starting days combined were such big names as Barny Boatman (233rd Place - €1,500), Kevin MacPhee (231st Place - €1,500), Kristen Bicknell (195th Place - €1,625), Max Pescatori (166th Place - €1,625), Mike Leah (165th Place - €1,625), John Racener (128th Place - €1,777), Marcel Luske (104th Place - €1,777), Alex Foxen (83rd Place - €2,393), Hossein Ensan (76th Place - €2,824), Kenny Hallaert (62nd Place - €4,035), Ognjen Sekularac (49th Place - €4,886) and Lukasz Wasek (14th Place - €14,404). With seven out of eleven golden bracelets already awarded, another champion will be crowned later tonight in Event #9: €25,000 No-Limit Hold'em High Roller, and the PokerNews live reporting team will provide all the action from the floor until November 10th 2017. Hand #80: Matous Skorepa moved all in from the small blind and Florian Fuchs called from the big blind for his last 5,600,000. The flop of was a bad one for Fuchs, and the turn took away any split pots to leave Fuchs with three outs only. The on the river was a blank and Skorepa took a bow on the stage before shaking hands with Fuchs. The Austrian was eliminated in 2nd place for €166,855, while Skorepa claimed the third Czech bracelet of the 2017 World Series of Poker Europe. Hand #74: Matous Skorepa raised to 1,400,000 on the button and Florian Fuchs shoved all in from the big blind, forcing Skopera to fold. Hand #75: Fuchs folded the button and Skorepa politely took the walk. hand #76: Skorepa shoved all in on the button with and Fuchs mucked his . Hand #77: Fuchs announced all in for 7,800,000 on the button with and Skorepa was unable to make the call. Hand #78: Skorepa raised to 1,300,000 on the button with and Fuchs called with . The flop came and Fuchs checked to Skorepa who continued for 1,100,000. Fuchs called and the landed on the turn. Fuchs checked again and Skorepa bet 1,900,000. Fuchs decided to fold and Skorepa continued to apply the pressure in this heads-up match. Hand #79: Fuchs folded and gave Matous Skorepa a walk with . Hand #71: Fuchs raised to 1,200,000 with the and Skorepa moved all in, forcing a quick fold. Hand #72: Skorepa raised to 1,250,000 with and Fuchs called with the . The flop came and Fuchs checked, Skorepa bet 1,600,000 with his open-ended straight draw and scooped the third hand in a row in heads-up. Hand #73: Fuchs limped in with the and Skorepa checked his with "let's see the flop, good trap." The flop came and Skorepa check-called a bet of 700,000 to see the on the turn. Skorepa checked, as did Fuchs with his flush draw. After the river, Skorepa moved all in and Fuchs let go. Hand #69: Matous Skorepa raised to 1,300,000 in the small blind with and Jonathan Khalifa shoved all in for 11,425,000 from the big blind with . The action was back on Skorepa who asked for a count before taking his decision into consideration. He eventually made the call and it was a coin flip for a massive pot. The flop came and Khalifa was still in the lead with two pair now. He was seen on the rail, hugging his friend, not watching the cards hit the felt. The turn was the and the river brought the . 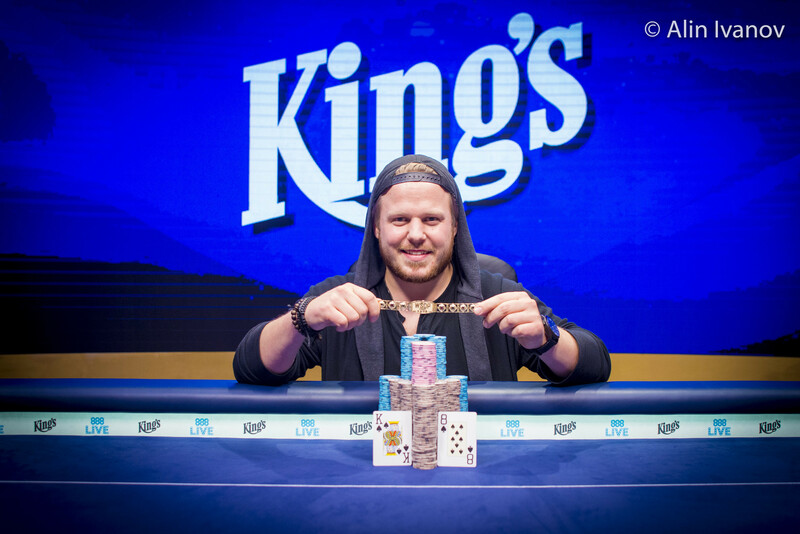 Skorepa rivered a pair of tens to oust Khalifa in third place, leaving Matous to battle heads-up with Florian Fuchs. Hand #66: Matous Skorepa moved all in with the and won the antes and big blind of Jonathan Khalifa. Hand #67: Khalifa raised with the from the small blind and Florian Fuchs let go his big blind. Hand #68: Fuchs limped in with the in the small blind and Skorepa in the big blind raised to 1,350,000 with . "Now I actually need to know how much you have behind," Fuchs asked and Skorepa counted his stack for 6,950,000 behind. Fuchs moved all in and Skorepa snap-called. The board came and Skorepa doubled. Hand #61: Jonathan Khalifa limped in from the small blind with and Florian Fuchs raised to 1,600,000 in the big blind with . Khalifa laid his hand down and Fuchs picked up the pot. Hand #62: Fuchs looked down at in the small blind and just limped in. Matous Skorepa checked his option with and the flop came . Fuchs led out for 600,000 and Skorepa quickly folded. Hand #63: Fuchs raised to 1,000,000 on the button with and took down the pot. Hand #64: Skorepa raised to 1,000,000 on the button with and Fuchs called in the big blind with . The flop came and both players checked to the on the turn. Both players checked again and the completed the board. Two more checks and Fuchs won the hand with a pair of tens. Hand #65: Khalifa raised to 1,300,000 on the button with and Fuchs three-bet to 4,000,000 in the small blind with . Khalifa laid his hand down and Fuchs was able to win another pot with the worst hand. Hand #56: Jonathan Khalifa raised to 1,200,000 with the on the button and Matous Skorepa called from the big blind with the . Both checked the flop and Khalifa also checked the on the turn. Khalifa bet 800,000 with his flush and Skorepa called with the open-ender to see the on the river and check. Khalifa bet 2,000,000 and Skorepa quickly folded. Hand #57: A raise by Florian Fuchs with the won the blinds and antes. Hand #58: Skorepa raised to 1,000,000 with the on the button and Fuchs defended the big blind with . On a flop of , Fuchs checked and called a bet of 900,000 before both checked the on the turn. Fuchs bet the river for 2,600,000 and Skorepa folded. Hand #59: Fuchs limped in with the out of the small blind and Skorepa shoved from the big blind.